Labor Day celebrates and honors working people across the United States, so why not celebrate and honor them with a discount, or even a free menu item, that will make your customers happy and your sales boom through the roof? Most restaurants have already prepared their Labor Day promotions, but if you haven't, it's not too late. Below are eight killer restaurant promotion ideas that will bring new and existing customers through your doors this Labor Day. The best part about three-day weekend holidays is you don't have to stick to offering a discount or free items just for one day. Extending your restaurant promotion for the weekend will give you the sales boost you need. Let's begin! Kids eat for free on Labor Day: When any restaurant offers a free menu item, the first thing that comes to mind is, "how much product am I losing?" And "how much money am I losing?" Remember, think about portion size, since most children do not always finish their meals. Keep an age limit and remember to make it visible on your menu. Only offer this deal with an adult's purchase of an entree. Free dessert when you order any entree: As mentioned earlier, consider portion size for any free menu item, but make sure the dessert is a reasonable amount for your guests. Promote this on your social media pages or on the platform where you have the largest audience. You can also add this offer to your Yelp page, where users can unlock this deal by checking in, uploading a photo or leaving review. 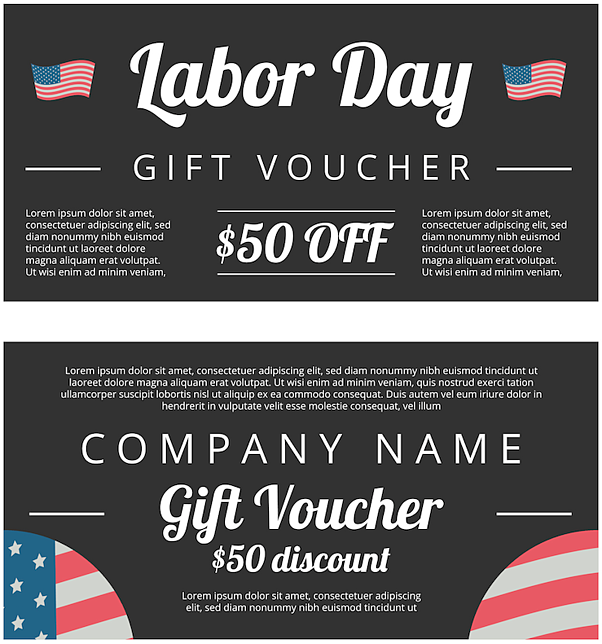 If you utilize email marketing, then promote this deal via an email campaign as well. First 100 customers receive 30% off: Any time you offer a deal to a certain amount of people it creates urgency. This deal will encourage customers to show up early, which in turn can create a lunch or breakfast rush, depending on your hours. >>See for yourself how Jimmy's Famous American Tavern's email marketing efforts improved with the help of Kulture Konnect here! Receive 20% off on Labor Day Weekend when you sign up for our e-club: This is another great idea to push out on your social media platforms or email marketing. With social media, encourage your followers to share your promotion with their friends or followers. Usually, users won't share your post unless you offer something in return, so make sure you come up with a catchy caption and offer a little something extra to those who share. The point of this promotion is to get new contacts to whom you can send future email marketing offers. Receive a three-course meal for $20 per person only on Labor Day Weekend when you sign up for our e-club: People love three-course meals since it usually offers a starter, entree and dessert. Set a fixed price such as $20 for the course meal or you can even offer a two-course meal such as an entree and dessert for whatever amount you prefer. Receive $5 off on a purchase of $20 or more only on Labor Day Weekend: Usually coupons are sent through email promotions, but that doesn't mean you can't get creative with it and offer this deal through your SnapChat or Instagram Story. If you have a large following, then this will be an effective promotion. Add your website to your post so guests can click and be redirected to your e-club sign up. Receive $5 off during Happy Hour on a purchase of $15 or more only on Labor Day: Happy hour is an opportunity for guests to receive a discount on their favorite menu items. Guests will love to get their hands on anything that will save them even more money. I suggest you only offer this promotion to those who order food items. Alcohol is your money maker and most restaurants do not offer extra discounts on alcohol. Receive $5 off on Labor Day when a friend signs up for our e-club: One last idea to grow your email contact list is to encourage customers to get their friends to join your e-club. This will help your contact list grow and your e-club member is receivng a reward for referring a friend. Did we miss any solid promotion ideas? Share your ideas with us in the comments below! Not sure how to improve your email marketing efforts? Contact us here to discuss an improved new strategy that will get your email marketing taking off today! See for yourself how Jimmy's Famous American Tavern's email marketing efforts improved with the help of Kulture Konnect here!